Kick off the summer with K-Fit's 28 Day Slim Down Challenge! This is a yearly event that Studio K-Fit puts on and it's awesome. Participants in previous challenge have lost an average of 9.5 lbs in 28 days. If you're looking to clean up the diet and shed some weight before the summer, then this challenge is for you! To make it interesting this year we will have a partner edition for even more accountability. That's right, you can either sign up with a partner or sign up individually and they'll partner you up. Sometimes we all need a little wellness reboot. The K-Fit Reset was designed to keep you accountable for 4 weeks of clean eating and working out. You'll meet with a trainer in the beginning of the program who will keep you accountable on a daily basis so you can have 28 days of success. The program is to be used as a stepping stone as you continue on a healthier path beyond the 4 weeks. 1.) Accountability is everything! When it comes to losing weight and training in general, having a team behind you makes everything easier. The ability to connect with people that have the same goals, and a coach who supports you and holds you accountable on a daily basis, is what makes this program totally feasible for anyone who is willing to put in a little effort. 2.) It addresses nutrition in a realistic, healthy and easy-to-follow approach. There is no diet book associated with this program. 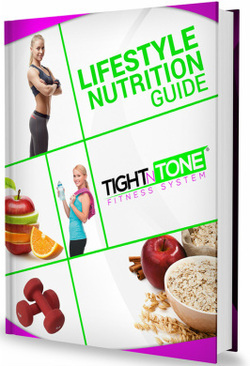 Our nutrition guide helps you put together a healthy game plan that can be completely modified to your own lifestyle. Focusing on the timing of the meals and the starch control method will help you achieve nutrition success like never before. The best part is that it's a nutrition plan that's easy to maintain even after the 4 weeks are over. 3.) The time frame is just right. Detox programs lasting 3-5 days often come at a high price to the body; creating havoc to the hunger hormones and providing only a temporary fix. Long term plans of 12 weeks or more have over 50% dropout rate. We find that the the 3-4 weeks range is just enough to teach the body how to shift to fat burning mode without throwing the hormones off rhythm. It also keeps you focused and helps you build momentum that you can keep even after the program is done. 4.) It puts you on the right track. Instead of having a finish line at the end of 4 weeks, the program equips you with all the ingredients necessary to continue on the path of weight loss and fitness success. You'll also be part of our supportive K-Fit community who will keep you inspired beyond the 4 weeks.